Unlike other sites, MobiBrix offers you the ability to generate your free QR code that you can reuse numerous times. If you want your QR code to lead back to your brand's Facebook page today and then your YouTube Channel next week, you have the power to change the URL without physically altering the appearance of the QR code. This all means an infinite amount of options for you, less money spent on print and simplicity in your marketing. A QR Code (short for Quick Response) is a 2-D barcode that is scanned by the use of a dedicated QR barcode reader on smart phones, such as iPhone®, Android and Blackberry. These devices all have a specific barcode reader that can be downloaded from their lists of applications. This code allows you to take a complicated URL and shorten it so it can easily be read and downloaded to your phone. Once scanned, your phone is directed to an online website, video or information page. Why Choose MobiBrix as Your QR Code Generator? We think QR Code generators should be tailored for the business and simple for the customer. That's why MobiBrix is a QR Code generator that allows you to generate a simple code for faster uploads, which can be used with most QR Code decoders or readers. Your customers will no longer waste time downloading the 'correct' reader for your code nor will they have to wait for the information to upload. Get started today! 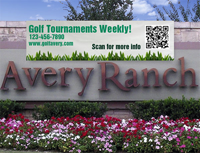 Utilize your reusable QR Code on all of your advertising! 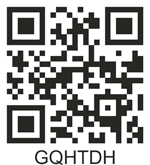 QR codes help drive traffic back to your website, online business card or social media sites. Allow them to take this information on the go by using a MobiBrix QR Code for easy scanning and quick downloads! Watch instructional videos on how to use MobiBrix here. Complicated URL's create QR codes that are difficult to scan and take a while to upload. MobiBrix QR Codes allow you to have a permanent signage solution, saving you money in the long run.